OTN Systems is a global leader in inspiring people to design their communications network with the latest technologies. The rise of the bandwidth requirements, coupled with the latest developments in smart grid technology, provides a number of challenges for the power industry. As such, there are specific demands on networks that need to be considered. To adhere to future trends and requirements of the power utility, OTN Systems has invested in research of the latest transport technology. MPLS-TP is currently being deployed worldwide and thoroughly tested at leading communication service providers. There’s an emerging need for packet-oriented transport networks that would, at the very least, have similar deterministic connections like SDH/SONET. Since IP/MPLS is often utilised in the core, it is imperative that this transport ecosystem would be compatible with IP/MPLS. Two standardisation bodies, IETF and ITU-T, eventually worked together and after an evolution period of five years, MPLS-TP is a well-defined standard. MPLS-TP enables packet transport services with the degree of predictability, reliability and OAM tools found in existing transport networks like SDH/SONET. IP/MPLS is a highly scalable, protocol agnostic data transport mechanism. Instead of using long network addresses with lookups in routing tables to direct and switch the data across the network, short path labels are used. IP/MPLS generally operates between OSI layer 2 (data link layer) and layer 3 (network layer). IP/MPLS has become very complex, with a wide variety of protocols for traffic engineering, reservation and restoration. IP/MPLS has its place in core networks; however, supporting these additional features in aggregation or transport networks can become time-consuming and expensive. MPLS-TP takes a subset of the IP/MPLS protocol suite and add features associated with transport networks. A network is a complex interworking of different nodes that requires a lot of attention. It is imperative that this is planned carefully and thoughtfully. Network configurations should be done without adversely affecting your running applications. Network failures need to be detected, diagnosed and repaired. Service level agreements should be monitored and ensured. For security reasons it is important that users are logged and an audit trail is created. 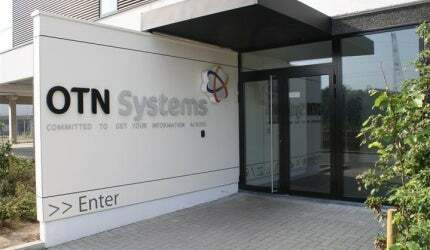 The OTN Systems knowledge centre takes all these aspects very seriously. Under the XTran product family, OTN provides you with the TXcare management system. This intuitive central management software provides a point and click configuration and monitoring. The TXcare configurations advisers guide the operator through the setup of a MPLS-TP network with coherent settings. The first slot of every node is reserved for this module. The NSM contains a dual connection to feed power over Ethernet (PoE) to the modules that have the PoE feature, enabling full galvanic separation between the power going to the switch and PoE. Local alarms can be forwarded or activated through the digital inputs or outputs. This is the heart of the system and features a dual core central processing unit. This module delivers the MPLS-TP high-performance switching fabric. and supports Layer 2 and Layer 3 protocols. The CSM provides carrier-grade accuracy through the sync-E synchronisation and hardware support for IEEE 1588 hierarchical master slave architecture for clock distribution. OAM based on the Y1731 for performance monitoring and automatic protection switching (APS) <50ms based on bidirectional forwarding detection (BFD) in any topology. Different protection schemes are possible: 1+1, 1:1 and logical rings for multipoint applications. It supports Ethernet ring protection switching (ERPS) to provide sub-50ms protection and recovery switching for Ethernet traffic in a ring topology. The CSM can be quickly and easily replaced in the field due to is removable memory feature. This module can be placed redundantly within one node. The current portfolio currently supports Gigabit Ethernet, E1/T1 and SHDSL to support flexible multiservice solutions or create WAN interfaces for the network. Other legacy interfaces will be available soon, includin: RS232, 422, 485, X.21, V.35 and C37.94. Making the right choice between MPLS-TP, IP / MPLS, CE, IP / ethernet is crucial for the performance of your company. Back in 2010, OTN Systems took the right decision to choose MPLS TP as the backbone technology to design a telecom product for extreme mission-critical networks. OTN Systems has released its newest brochure, which is titled ‘MPLS for Operational Telecom made easy’. Energy facilities increasingly rely on communication networks that are, more recently, developing into packet-based systems as opposed to using more traditional time-division multiplexing (TDM) technologies. OTN Systems, masters in mission critical communications, is pleased to announce that its MPLS-TP technology has been selected by Sharjah Electricity and Water Authority (SEWA) in the UAE for the telecommunication aspects of SEWA's Project Tiger tender. OTN Systems will host a roadshow on 'Reliable Communication for the grid' across 6 cities in Germany. Veteran of the telecoms industry Dirk Van den Berghen has been appointed chief executive officer of OTN Systems. OTN Systems, the leading supplier of operational telecommunication networks for critical infrastructures, has announced the launch of its new website.